Ergonomic, latest in design, comfortable and spacious. Sit back and treat your senses to the harmony of comfort and design. 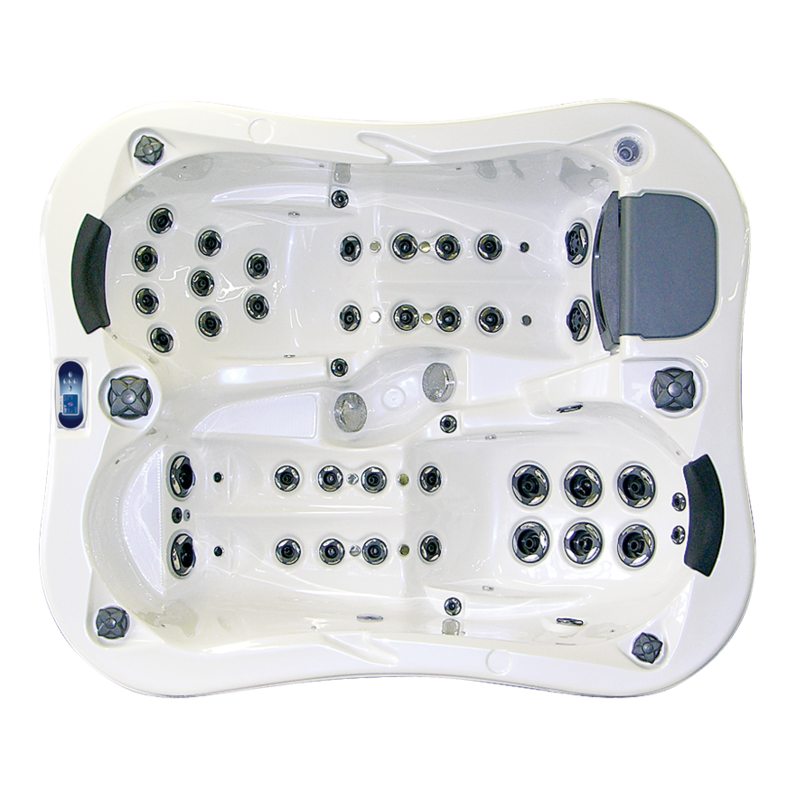 To bring you an optimum rejuvenating experience, every seat in a VAJDA Lotus Spas series is strategically designed and positioned to provide your body with a specific type of therapy. Seats are slightly rounded to cradle your body, while curved seat backs offer gentle support. Our lounges feature smoothly contoured recesses to better support your legs, yet keeps your upper body resting in a natural lounging position. A center foot dome provides soothing relief for aching feet after a long hard day of work. Soft headrests are located in every seating position. 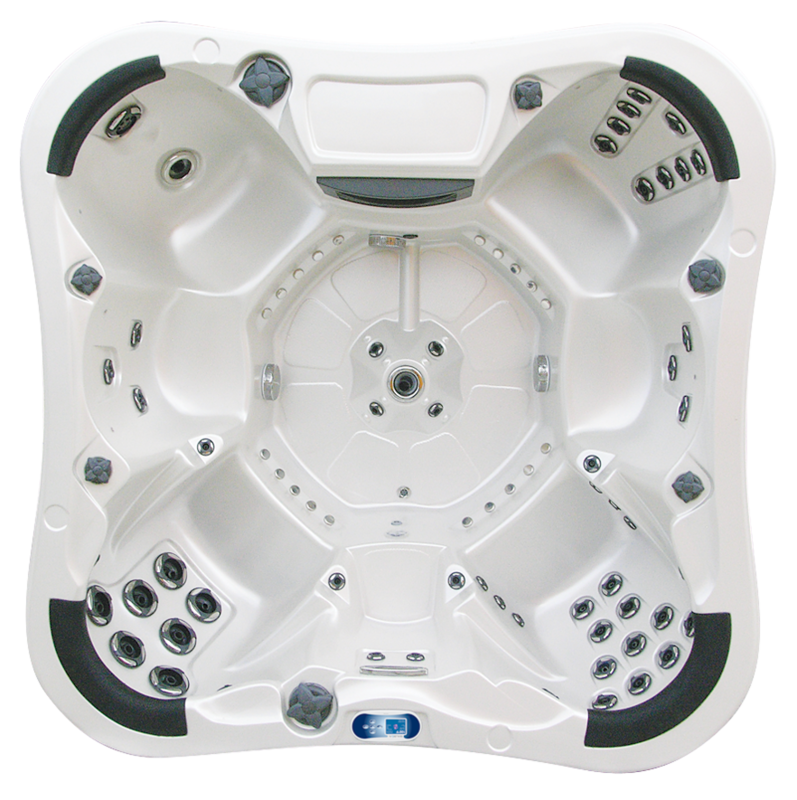 VAJDA Lotus Spas series spa shells are made from ARISTECH Acrylic® sheets integrated with antibacterial protection of Microban. Microban reduces the growth of bacteria on the surface of the spa, keeping your spa water fresh and hygienic at all times. The ARISTECH Acrylic® shell is reinforced with layers of vinylester fiberglass and covered with polyurethane foam. 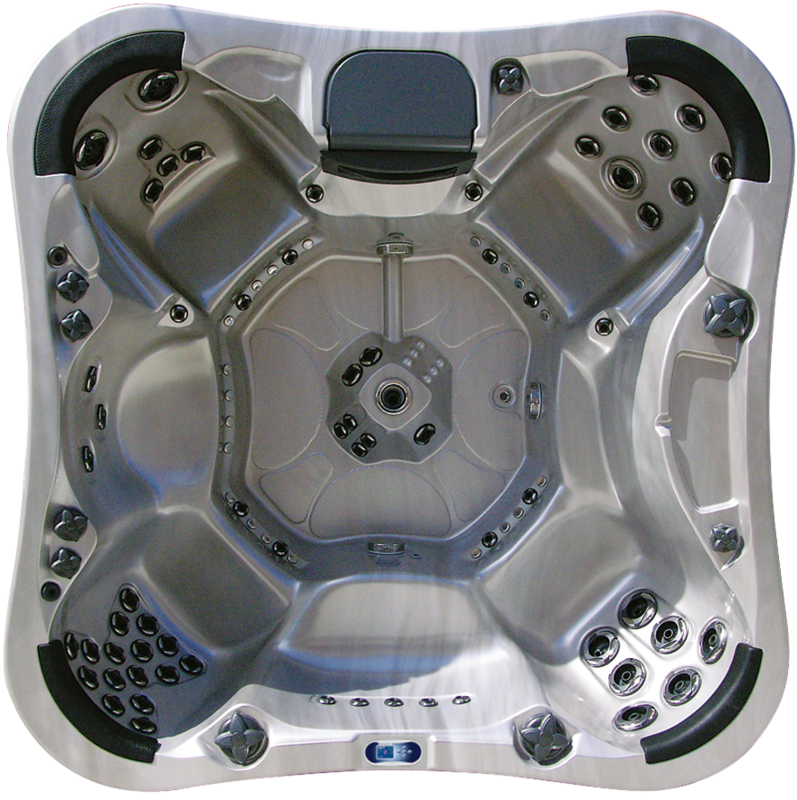 Our acrylic spas come in the most popular selection of colors to best suit your own style of harmony. Selected models are produced by top quality acrylic sheets by Austrian company Senoplast. 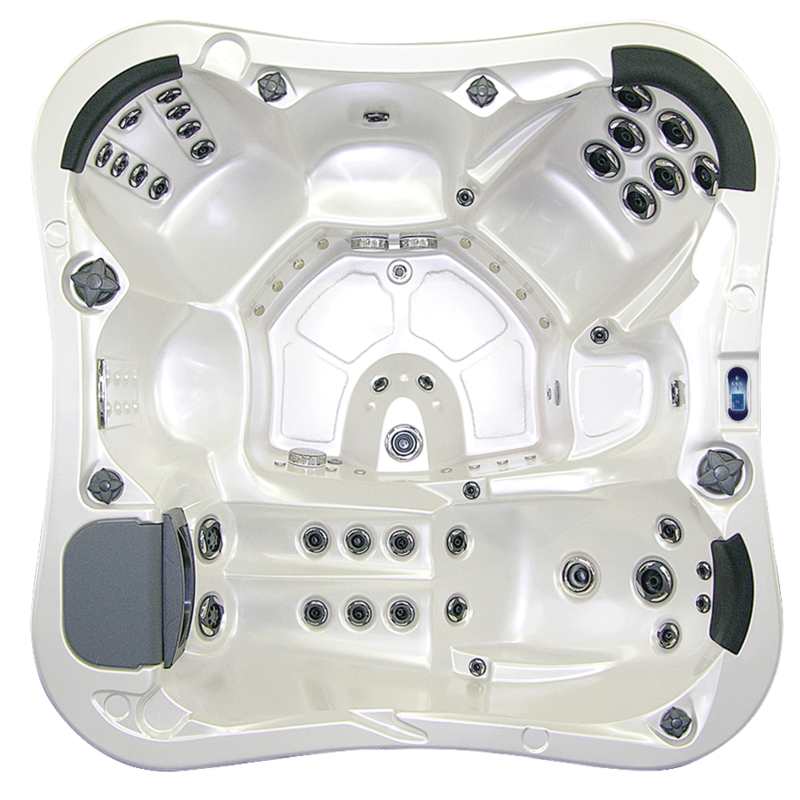 The components of the VAJDA Lotus Spas series Structural Support System are made from composite of fiberglass and Polylam foam that are non corrosive, resilient, maintenance free, and innovative. 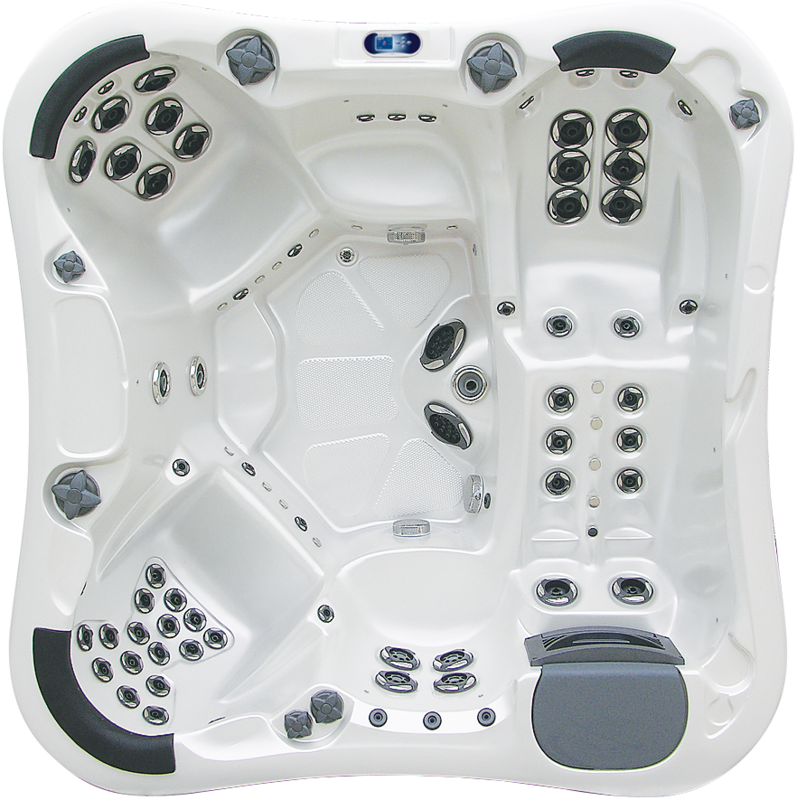 All VAJDA Lotus Spas series cabinets are made of extruded polystyrene HD foam, a durable synthetic material that requires no maintenance. ThermoBoard is designed to imitate the rich look and feel of wood. It will not rot, fade or warp as natural wood panels can. ThermoBoard doesn't need sanding or staining. It is more energy efficient than wood, and it simply sprays clean with a garden hose. ThermoBoard is elegant, modern and suitable for every environment, both indoors and outdoors. The inner insulation is made of 20 mm polylam foam with reflex aluminum foil that keeps all heat inside. VAJDA Lotus Spas series ThermoBase is made from ABS material and 60 mm Polystyrene foam strong enough to hold the weight of hundreds of liters of water. The solid spa base construction keeps your spa protected from ground temperatures, rust, and unwanted rodents. All models of the VAJDA Lotus Spas series product line are delivered with a thermo cover. Our spa covers are designed to be energy efficient so you can enjoy a constant water temperature and minimum heating costs to save money. 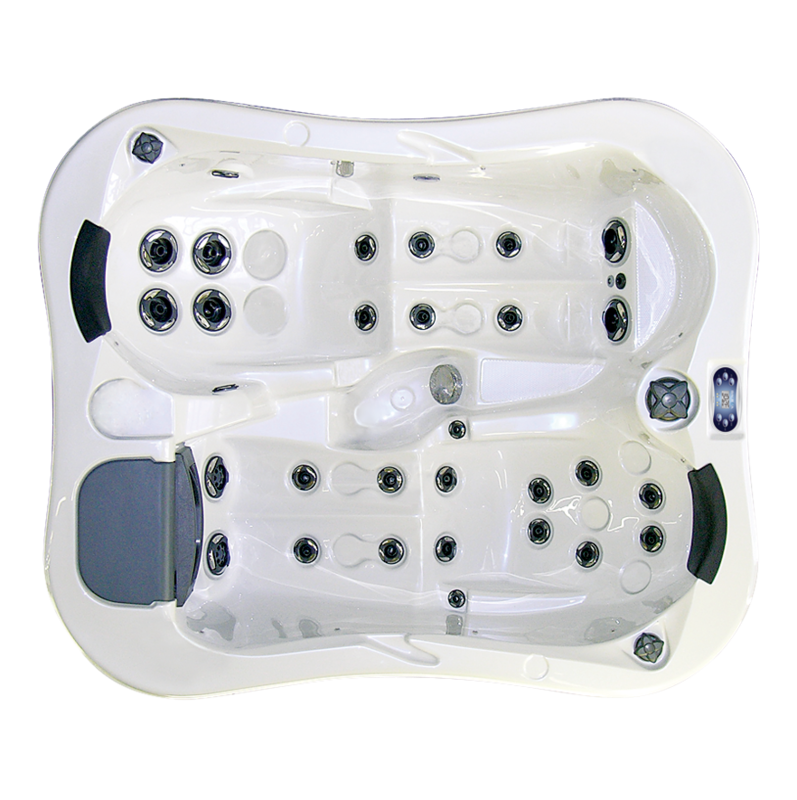 Underwater light is standard for each VAJDA Lotus Spas series model. Pump selection is based on spa size and quantity of jets, which assures an effective, yet relaxing, therapeutic massage.